One of the best RDA, Great flavour. Shipment very fast, great shop. 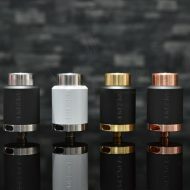 Insanely good RDA, machinery, airflow, everything is 10/10, and not having to find and line up the airholes with the coils is very convenient! 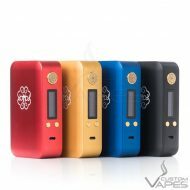 Bought this Kennedy 25 from Custom Vapes. Service was fantastic, considering the bad service I received from a bigger vendor in Wembley. 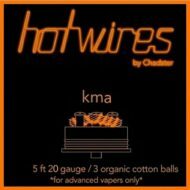 I’m new to Mech Mods but have been building coils for 18 months. The staff took the time to explain everything to me with an emphasis on safety . As for the RDA – I love it. 2 posts are easy to build on an allows a lot of room to experiment with. It is on the airy side but I don’t mind it. It’s also very robust . 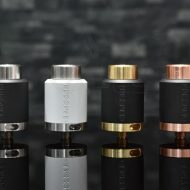 The juice well is deep enough and you don’t have to keep taking the top cap off to refil because you can just drip from the top between the posts. The price is justified in my opinion. 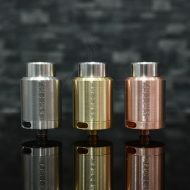 I’ve bought many RDA’s which are now sitting on the shelf. Had I got this in the first place I would have saved a lot of money. Now waiting on the roundhouse v2 from Custom Vapes to go with it. 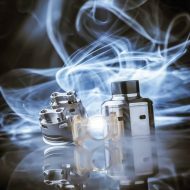 Great RDA from a very customer focused shop. 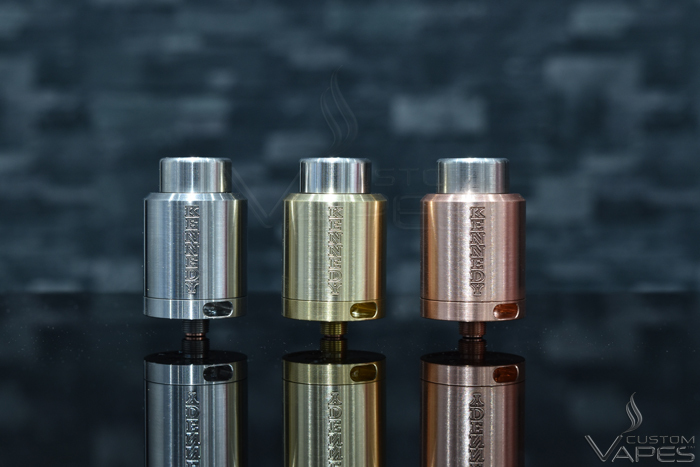 Introducing the Kennedy 25mm SS 2 post RDA. 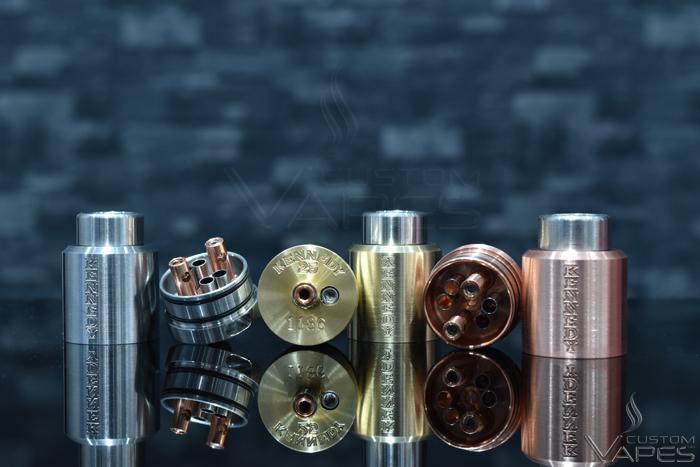 The Kennedy has established itself as one of the leading RDA’s on the market to date. 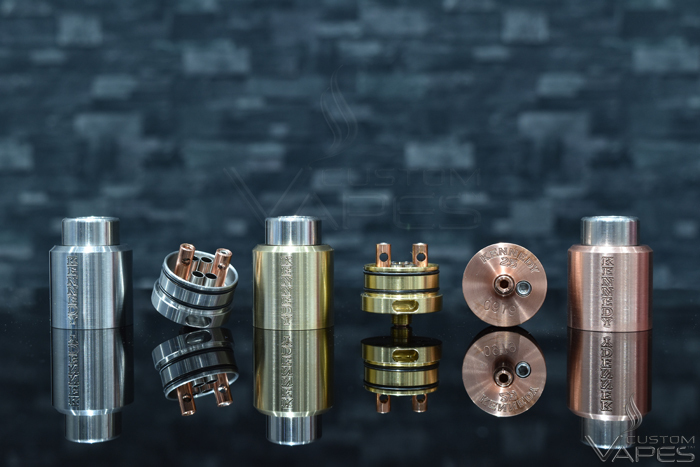 Outstanding machining quality, coupled with flawless airflow, and incredible flavour production that makes it simply unbeatable and a must have RDA.